Who Are Trevor James Saxophones? ‘Making Life Sound Beautiful™’ which makes us different! 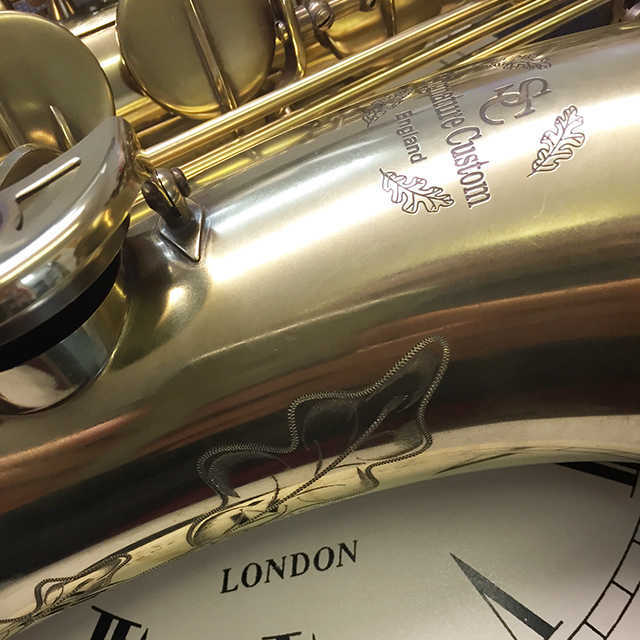 Trevor James saxophones are based in Lenham (UK) and it's from here that we distributute our multi-award winning and successful specialist saxophones around the world. From our Kent home, the first Trevor James saxophones were designed and then launched in to the UK and European music markets in the early 1990's and have since developed in to one of the most globally respected marques in Student, Step-up and Professional horns. Our award winning models include the innovative Alphasax for the younger and smaller player, the TJ 'Classic', Horn '88, 'SR' saxes and our professional Signature Custom horns. We also build the Limited Edition (only 100 will ever be made) Andy Sheppard 'Autograph' tenor. Our responsibility as a sax company is to simply listen, ponder, sketch, design and then create a Trevor James horn that let’s the player reach their true potential. There really is nothing like finding the instrument that feels right. The instrument that opens up new sounds, colours and textures is so very special! We actively embrace all forms of social media as we value a deep and ongoing dialogue with players and teachers wherever they live. All links to the various social media pages can be found on our saxophone model pages as well as on our social media panel on our website Home Page. Buying a musical instrument is very much personal choice and should be based around a connection when performing. We passionately believe that musicians continue to choose a Trevor James instrument in the knowledge that it will enable their own ‘aspirations’ to be reached, and ultimately, make their lives ‘Sound Beautiful’.